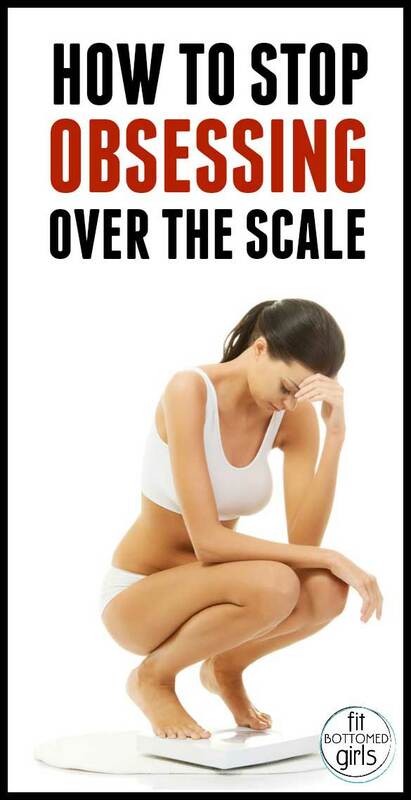 Stop the Obsession With the Scale Once and For All! How many times have you stepped on the scale, full of hopeful anticipation and a week of eating healthy and working out, only to be disappointed by the number staring back at you? Suddenly, that great feeling of accomplishment you had vanishes and you tell yourself that, again, you failed. No matter how hard you try, you can’t lose weight. Sound familiar? For people who weigh themselves daily (or even multiple times a day), the idea of giving up the scale can be scary. But I guarantee that once you do it, you’ll be happier, have a more accurate self-image and better relationship with your body. If cutting yourself off from the scale cold-turkey is a scary—or downright impossible—proposal, follow this five-step plan to go from scale-obsessed to scale-free in just one month! Yes! I ditched the scale back in high school. Now I just go by my yearly weigh-ins at the doctor’s office. I realized that obsessive weigh-ins had way more to do with my anxiety than with reaching my goals. I ditched the scale, tried to ditch the anxiety, and I’m much happier overall. I need to ditch the scale. If I’m really expecting a loss and don’t see it, I get bummed out at eat crap because eating well just isn’t working. I know that’s irrational, but that’s what happens!